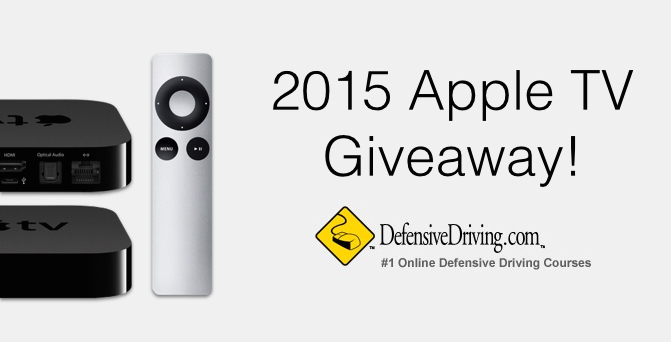 2015 Giveaway — Win An Apple TV! We’re excited to announce our first 2015 giveaway! We are awarding an Apple TV to one lucky contestant. All you have to do is fill out the form below. Make sure you read the instructions! If you are unable to view the form below click here. Loading… Check out our defensive driving courses in your state!